The news of the most remote chapel St. John dating to 1552. 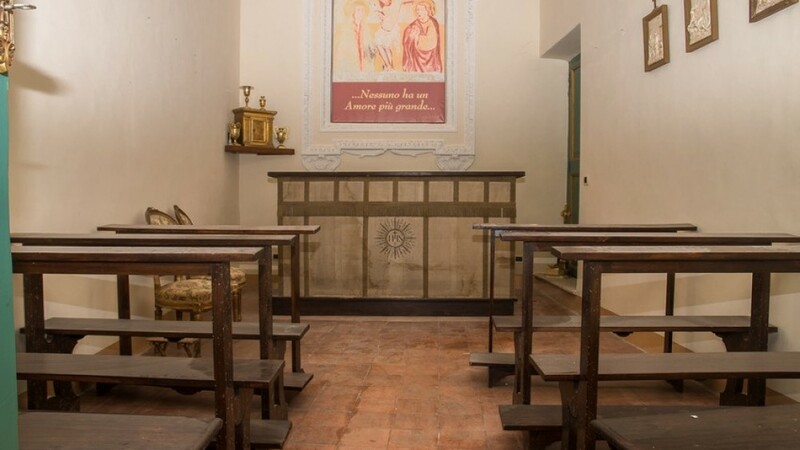 As is apparent from documents in fact unreliable, in that year the area was already known by this name because of the presence of the chapel dedicated to St. John in fact. 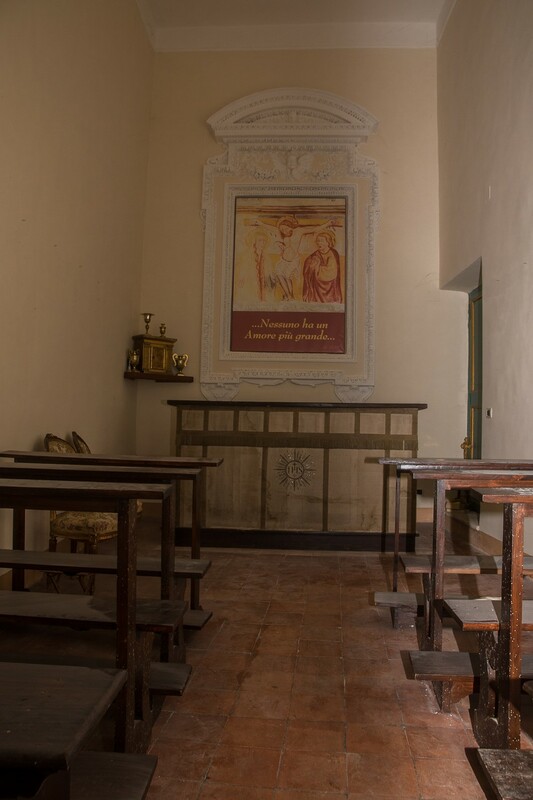 “In 1552, tells G. Morocco, at the request of the Community of Collevecchio, through the interposition of ‘Gentlemen Cruciani, head of that country, the father general de’ Cappuccini sent some monks to the formation of a monastery in that place called St. John, because there was a chapel dedicated to this saint, and combined with a competent casamento de ‘same gentlemen Cruciani. In 1615 the land with all buildings of Villa San Giovanni, was given in concession to Ortenzio De Rubeis, Commissioner of the Apostolic Chamber. In 1627-28 on his son Rev. 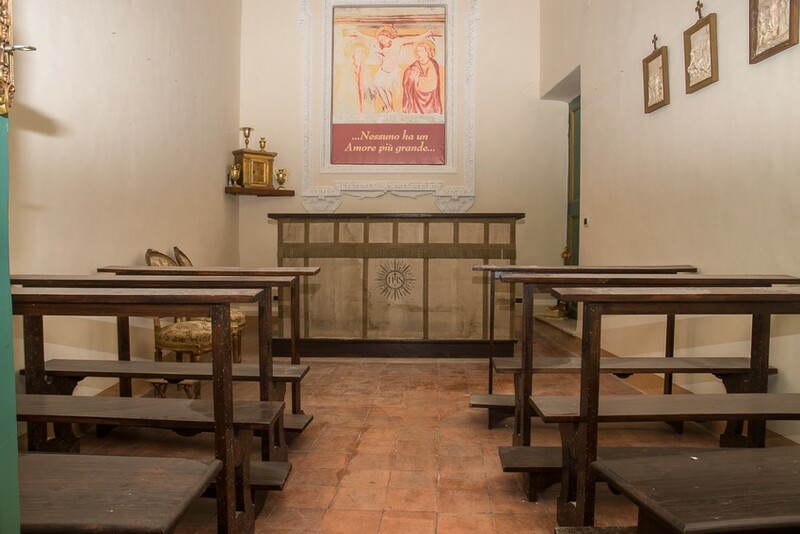 Pierfrancesco de Rubeis recently restored chapel, providing it with new furnishings and funding for the celebrations. 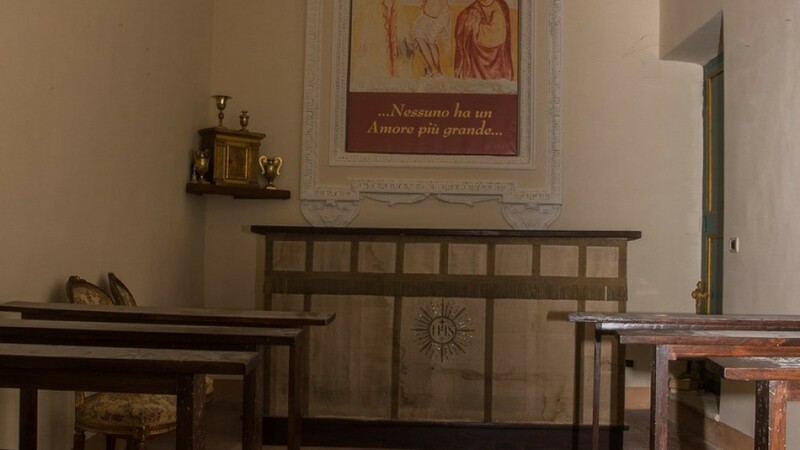 When in 1928 the estate was bought by the grandfather of the owner, the chapel, as the building were renovated in observance of the old design. The Chapel today remains consecrated and from time to time we celebrated anniversaries and celebrations of family and friends of the family.